Are you trying to sell your empty home? If you’re not staging, then you’re doing it wrong! People buy homes, not houses. Potential buyers have trouble visualizing the potential of empty homes. 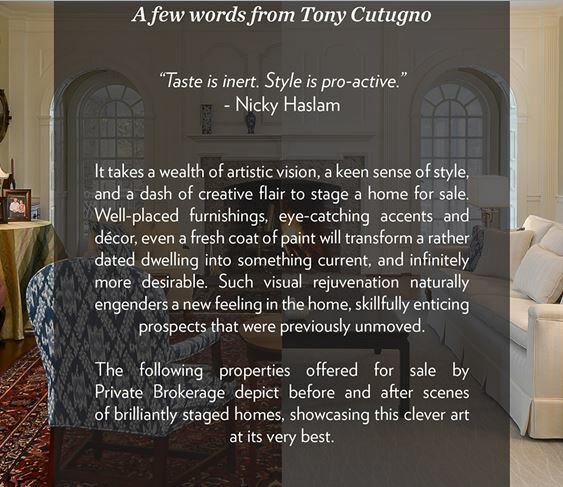 Staging creates a feeling in a room that makes a buyer want to enter. If a buyer can mentally “move in,” he or she will be motivated to buy. In a 2015 profile on home staging, the National Association of Realtors found that 81 percent of buyers find it easier to visualize a property as a future home when it is staged, compared to an empty home. The problem is that empty homes lack a vision of its layout. One stager suggests that sellers spend a weekend going to open houses and paying attention to what draws them in. chances are, they will be drawn to homes that show beautifully, and uninterested in those that don’t. As a seller, “You have to feel like you’re inviting a special guest over and that special guest is a potential buyer.” You can’t do this in an empty home. Here at Stage To Move, we will evaluate a vacant or model home and prepare a design plan. The plan will detail the furniture, accessories, and design elements that will appeal to the seller’s target market as well as the associated fees. Our exclusive access to multiple showrooms throughout New England translates to the most up-to-date and desired look for your home. Vacant home staging typically costs $10-$15,000 for a 3 to 6 month rental. However, statistics show that the benefits of selling your home more quickly that come with staging include price sales and carrying costs (i.e. electric, mortgage, etc.). Thus, the return on investment outweighs the initial upfront costs. Contact Stage to Move today at info@stagetomove.com for an evaluation. This entry was posted in empty home staging, home staging, housing market, statistics. Bookmark the permalink.